Joined the Indian Foreign Service, 1949 and served with the Indian Missions in Rangoon, Tokyo. London, Australia and Hanoi and held different positions in the Ministry of External Affairs including its Secretary. Hanoi and held different positions in the Ministry of External Affairs including its Secretary. United Nations General Assembly, 1979. Special Session of the U.N. General Assembly in May 1986 on the critical situation in Africa. Makhanlal Chaturvedi Rashtriya Patrakarita Vishwavidyala Sansthan, Bhopal, Madhya Pradesh. Australian National University has instituted an annual "K.R. 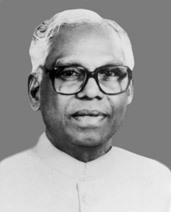 Narayanan Oration". Jawaharlal Nehru Fellowship in 1970-72 of study of Nehru's Non-alignment.